Close to Thetford, in Norfolk, is a heathland surrounded by pine woods. From a distance, the heath seems un-remarkable: it is covered, depending on the season, with buttercups and daisies, or with clumps of purple heather, and, in the summer, skylarks are to be heard singing above it. Drawing closer, however, it becomes apparent that the heath is pock-marked with craters, like the surface of the moon. Grime's Graves, Norfolk. Photo: Ron Strutt (Licensed under CCA). 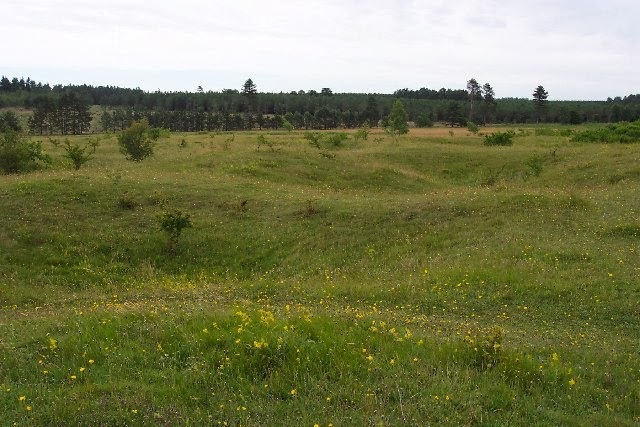 These craters represent the in-filled shafts of more than forty mines, dug more than five thousand years ago with picks made from deer-antler and shovels from the shoulder-bones of pigs. Our Neolithic ancestors were mining here, not for coal, or for gold, or for copper, but for flint. The vertical shafts, some of them twelve metres in depth, give access to cramped horizontal galleries that form a honey-comb deep beneath the heath. Grimes Graves, the base of one of the excavated shafts. Photo: Ashley Dace (licensed under CCA). 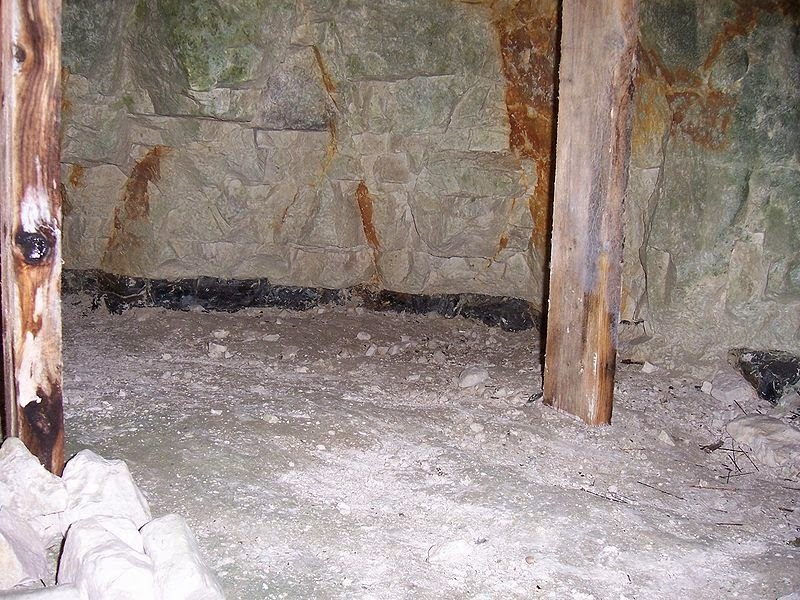 The flint-seam at Grime's Graves. Photo: Robert Walden (Licensed under GNU). I first visited the flint-mines of Grime's Graves as a Cambridge undergraduate, more than a quarter of a century ago, and returned, almost incidentally, many years later, when researching my novel, An Accidental King. 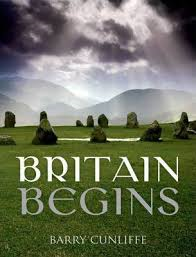 The novel is set, not in the Neolithic, but in the early years of Roman rule in Britain, but something drew me back to a place that had impressed me so many years before. 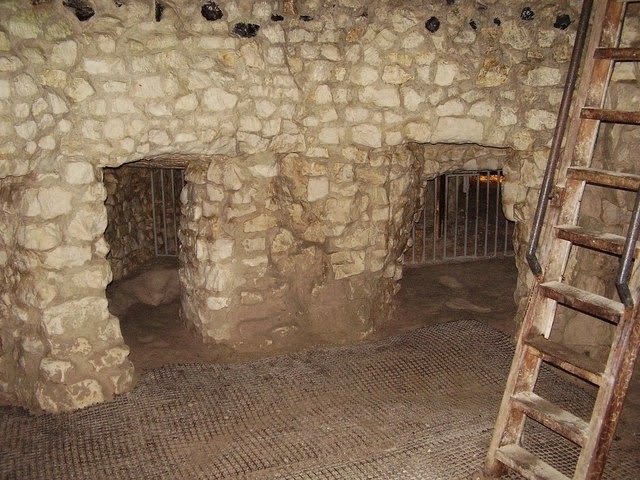 I learned something new: that some, at least, of the ancient mine-shafts had been re-opened and explored in the 1st Century AD, and it was this that led me to use Grime's Graves as the setting for the drama that unfolds in Chapter 19 of An Accidental King. The tonnes of flint that were extracted from the mines by Neolithic people were used, principally, for the manufacture of polished axes. These had a practical purpose (clearing land for cultivation, cutting down trees to build houses and boats), but also a symbolic value (they are often found buried in tombs, or on ceremonial sites). Axes from Grime's Graves found their way, through trade and exchange, to all parts of the British Isles, as did stone axes from other "factory" sites in Cornwall, Wales, Scotland and Northern Ireland. There are even axes in Britain made of jadeite from the Italian Alps. In Chapter 3 of my earlier novel, Undreamed Shores, my protagonist, Amzai, is given a flint axe which might well have come from Grime's Graves: this axe appears again in Chapter 17 of An Accidental King (a Neolithic flint axe really was found beneath the Roman temple on Hayling Island, where this scene is set). 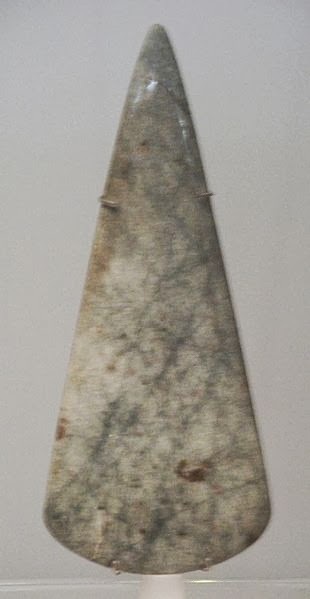 Polished axes of jadeite from Benon in Brittany. Photo: Pline (Licensed under GNU). Whilst my tutors in the early 1980s emphasised the economic significance of the flint mines, and the trade in stone axes, more recent research has stressed the symbolic and even religious dimensions. My own research in the Channel Islands, together with work in the Lake District by Professor Richard Bradley and Dr Mark Edmonds, has shown that the places where the axes were made were very often in remote, inaccessible and spectacular locations, places that may well have had a spiritual importance in the lives of the people who made and used the tools. Le Pinacle, Jersey. 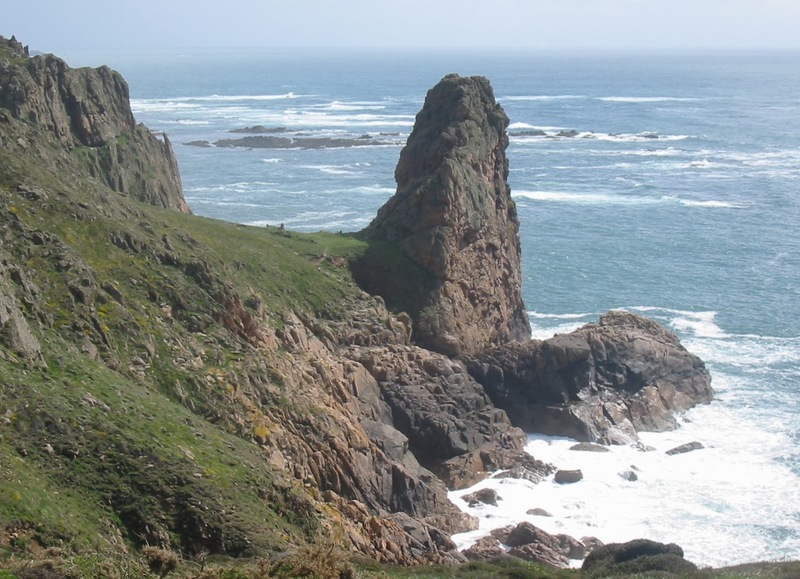 Axes of dolerite from a seam at the base of the rock have been found on Guernsey, Sark and Alderney, as well as on Jersey. Photo: Man Vyi (image is in the Public Domain). 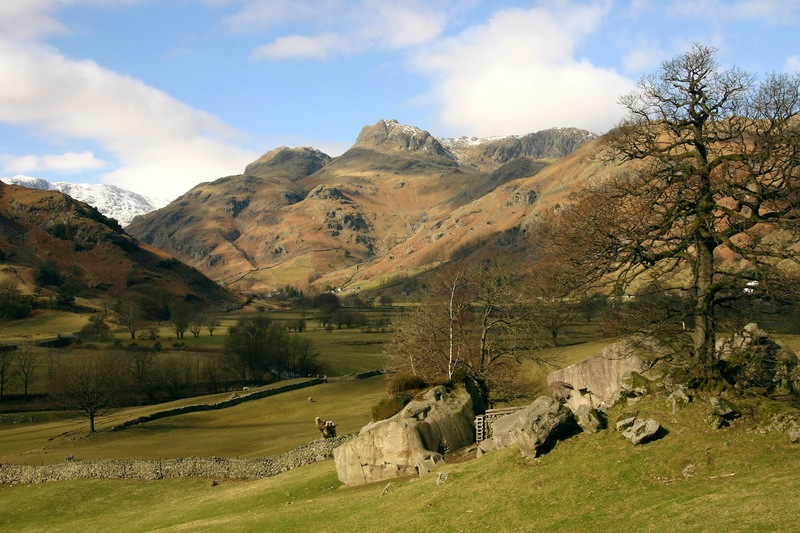 Great Langdale, Cumbria. Bradley and Edmonds were able to show that the stone quarried to make stone axes was taken from some of the most inaccessible ledges high on the mountain. Photo: Mark S. Jobling (image is in the Public Domain). Eleanor Catton, in her novel of the New Zealand gold-rush, The Luminaries, contrasts the "value" of gold to the European settlers with the "worth" of green-stone (pounami) extracted by Maoris from the same mountains. The Maori made a distinctive type of weapon, the mere, from this green-stone, and individual meres had names reflecting their "worth," depending on the places where they had been made, the people who had owned them and the deeds to which they had been witness. A Maori mere, a weapon used for striking the head of an enemy, but also a symbol of chieftainship. Photo: Sladew (licensed under CCA). 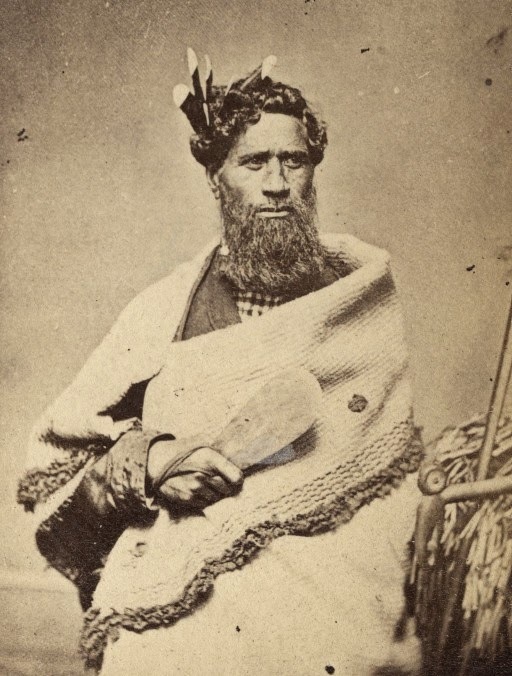 A Maori chief holding a mere. Photo: Musee de l'Homme, Paris (image is in the Public Domain). It may have been precisely this sort of "worth" that was attached to Neolithic axes, and which explains both their circulation over great distances, and their persistence as heirlooms over long periods of time. The stories told about such objects are typically more important than any functional purpose they may serve. In the case of Grime's Graves, the act of digging into the ground, of entering a dangerous and unfamiliar space, of making contact with the spirits of the underworld, that gave worth to them, inscribing upon them the first chapter in a heroic story that accompanied them as they passed from one hand to another. 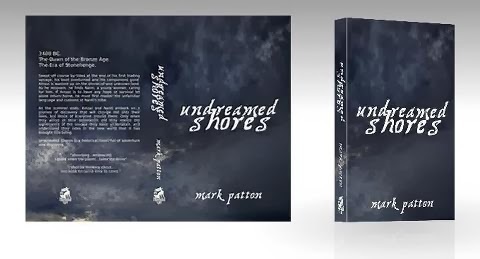 Mark Patton's novels, Undreamed Shores and An Accidental King, are published by Crooked Cat Publications, and can be purchased from Amazon UK or Amazon USA. By the middle of the 1st Century AD, Rome was at the centre of an empire that encompassed the whole of the Mediterranean world, extending northwards as far as Britain, and southwards along the valley of the Nile into the interior of Africa. Rome itself was a cosmopolitan city, in which Britons, Gauls and Germans jostled with Carthaginians, Greeks and Judeans, all bringing with them their own languages, traditions and gods. A city of many gods and many temples could easily accommodate new religions, so long as they did not interfere with one another, or with the management of the state. 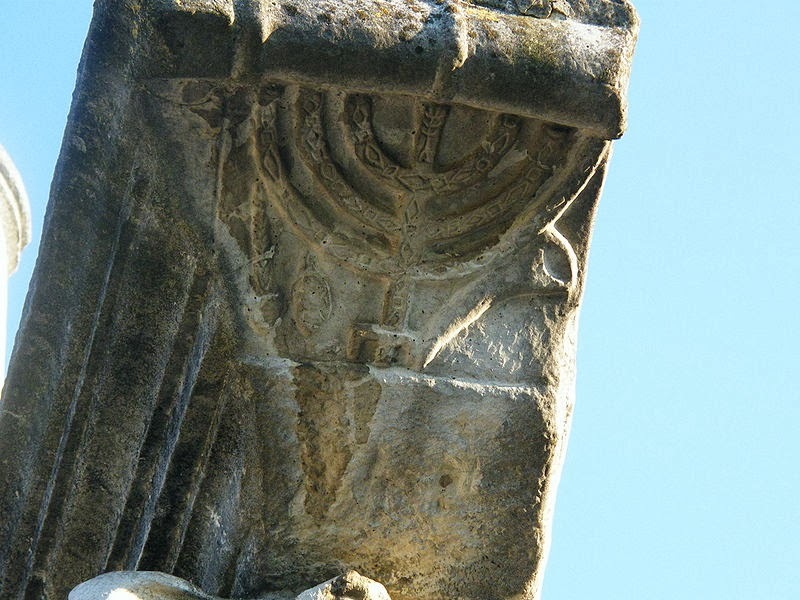 The presence of a Jewish community in Rome itself is attested from the 3rd Century BC, and thirteen synagogues are mentioned in inscriptions, some of which enjoyed the patronage of senior Roman figures such as Augustus and Marcus Agrippa. 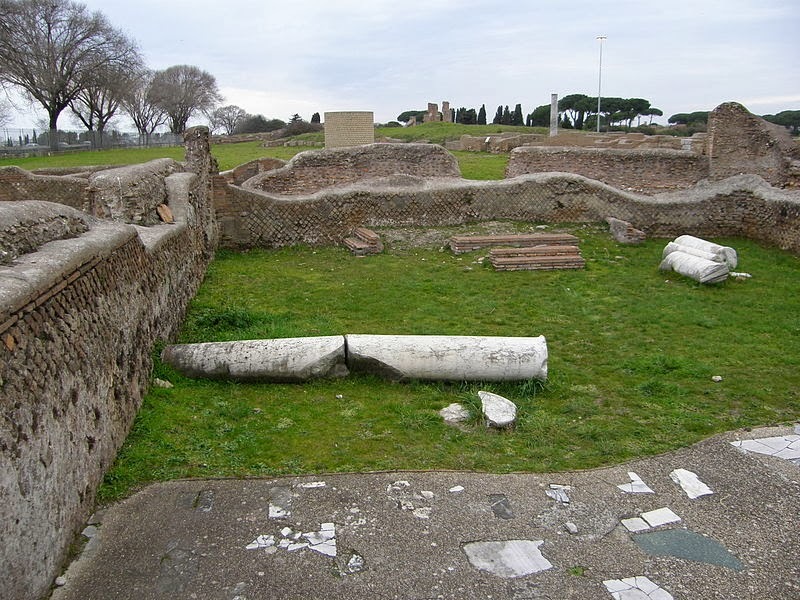 Only one such synagogue has actually survived in the archaeological record, in the port community of Ostia, an establishment that seems to have continued in existence over several centuries. The synagogue at Ostia. Photo: Makaristos (licensed under CCA). Relief from the synagogue at Ostia. Photo: Setreset (licensed under CCA). 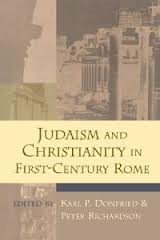 The relationships between the Jewish community and the Roman authorities were not always harmonious. Jewish religion, with its monotheistic claims, sat uneasily alongside Roman polytheism, and was singled out for suspicion whenever trouble was brewing in the province of Judea. In 19AD, the Emperor Tiberius expelled both Jews and worshippers of Isis from Rome, perhaps because they were seeking and gaining converts among slaves and freedmen. The "expulsion" seems not to have been wholly successful, because further action was taken some three decades later by the Emperor Claudius, against Jews who had (according to Suetonius) been "causing disturbances at the instigation of Chrestus" (impulsore Chresto). Is this, as many have supposed, a reference to Christ (occurring after the crucifixion), or is this "Chrestus" another figure, about whom nothing else is known? If it does refer to Christianity, the implication is that the Romans made no clear distinction between Christians and Jews, and may have assumed "Christ" to have been a living agitator rather than a martyred founder. It is unclear at what stage the Christian community became an identifiable minority in Rome. 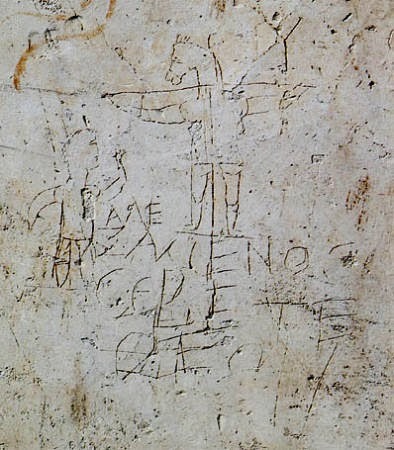 Most of the contributors to one of the key academic texts, edited by Karl Donfried and Peter Richardson, consider that this happened, at the latest, in the Principiate of Claudius (41-54 AD), but a mocking graffito showing a man worshiping a crucified donkey, and the Greek inscription, "Alexamenos worships his god," could date anywhere between the 1st and the 3rd Century AD. The Alexamenos Graffito. Photo: Bbltype (image is in the Public Domain). A more certain reference is to be found in Tacitus's Annals, in relation to the great fire that destroyed Rome in 64 AD, during the Principiate of Nero. Nero identified the Christians as arsonists, and instigated persecutions against them (almost certainly the persecutions that claimed the lives of Saints Peter and Paul). Tacitus is clear about the fact that "Christus," who gave the sect its name, had lived in Judea, and had been executed during the Principiate of Tiberius, on the orders of the Procurator, Pontius Pilate. We know the names, even if we know little else, of some of Rome's earliest Christians. St Paul's Epistle to the Romans, which most scholars date between 55 and 58 AD, mentions a Jewish couple, Priscilla and Aquila, tent-makers who had settled in Rome and were subsequently expelled by Claudius. 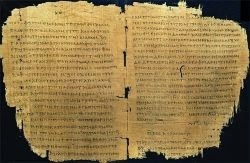 A manuscript copy of St Paul's Epistle to the Romans. This is an ancient copy, the original does not survive. They are mentioned, also, in Acts 18 and Corinthians 16, and make a brief appearance as minor characters in my novel, An Accidental King. Tacitus, in his Annals, also mentions Pomponia Graecina, the wife of Britain's first Roman governor, Aulus Plautius, who was accused of adherence to a "foreign superstition" (which could be either Judaism or Christianity or, conceivably, the cult of Isis) and tried and acquitted by her husband. According to some interpretations, she is the Christian Saint Lucina (possibly her baptismal name), who endowed Rome's Christian community with one of its earliest catacombs for the burial of the dead. 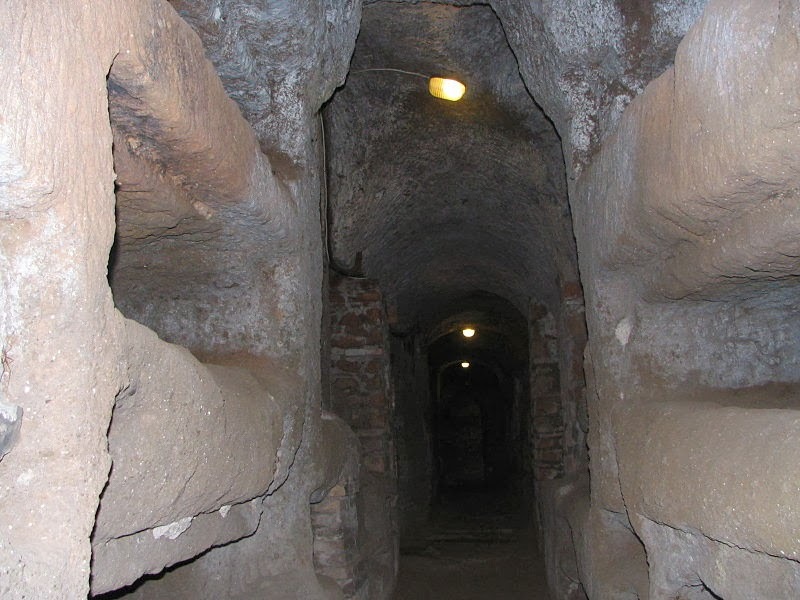 The Catacomb of Callistus, possibly established by Saint Lucina. Photo: GerardM (licensed under GNU). 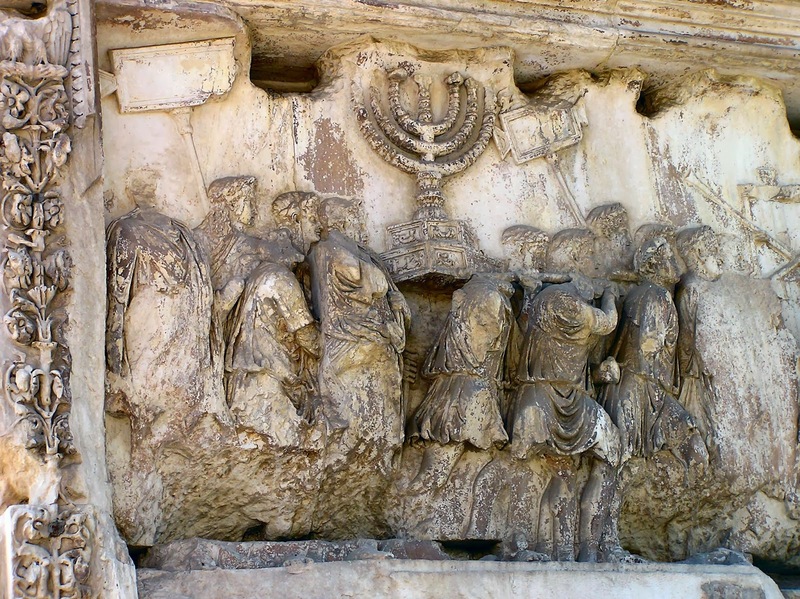 The Jewish historian, Josephus, suggests that Christianity had a particular following among slaves and freedmen, and the sacking of Jerusalem by Vespasian and Titus in 68 AD, graphically portrayed on reliefs on the Arch of Titus, almost certainly brought large numbers of Jewish people to Rome as slaves. Over the decades that followed, some of these people probably remained true to the faith of their forbears, whilst others converted to Christianity and others still became assimilated to the Roman population, but their descendants may have changed Rome in ways that neither they nor their captors could have predicted. The Triumph of Vespasian and Titus, as depicted on the Arch of Titus. Photo: Gunnar Bach Pedersen (image is in the Public Domain). In September last year (http://mark-patton.blogspot.co.uk/2013/09/the-first-age-of-sail.html), I considered the evidence for long-distance sea-voyaging in the European Bronze Age (c2400-700 BC). Although the earliest definitive evidence we have for sail-driven sea-craft is a gold model of a boat with a mast found in Ireland and dating to around 50 BC, it seemed to me that the circumstantial evidence for long-distance maritime contacts at a much earlier stage (probably from c1500 BC) was overwhelming. It is clear that voyages across the English Channel, the Pentland Firth and the Irish Sea were made, at least occasionally, at a much earlier stage even than this (probably as early as 4500 BC), but how regular were these contacts, how were they undertaken, and what was there significance? These questions have remained unanswered. These questions have drawn me into a debate with my fellow historical novelist, J.S. Dunn, who, in a response to my review of her Bending the Boyne (www.goodreads.com/book/show/10534367-bending-the-boyne#other_reviews), has insisted that long-distance sea voyages must have taken place on a fairly regular basis going back to the 3rd or 4th Millennium BC. Cross-channel voyages do feature in my own Undreamed Shores, but as rare, occasional and sometime accidental events, in vessels without sails. Dunn, on the other hand, features planned and regular voyages over much longer distances, as, for example, between southern Ireland and western France. The circumstantial evidence, also summarised in a recent book by Professor Sir Barry Cunliffe, is certainly compelling. "The evidence," he writes, "while comparatively slight, is sufficient to suggest that, by the 5th Millennium BC, maritime networks may have linked the communities together along the length of the Atlantic façade." This evidence includes the existence in Britain and Ireland of 130 jadeite axes, whose ultimate origin lies in the Italian Alps. 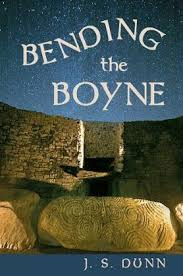 It includes the pottery from a megalithic site at Achnacreebeag in Scotland, which has been compared to pottery found in Normandy and Brittany, and on some of the sites that I have excavated in the Channel Islands. 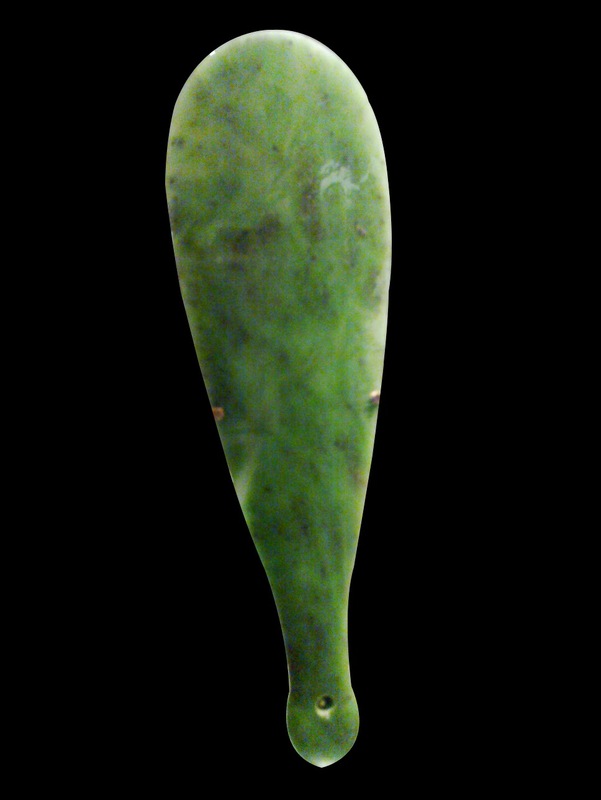 Jadeite axe, National Museum of Scorland. Photo: Johnbod (licensed under CCA). 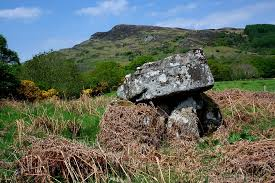 The megalithic site of Achnacreebeag. Photo: Robert Gladstone. 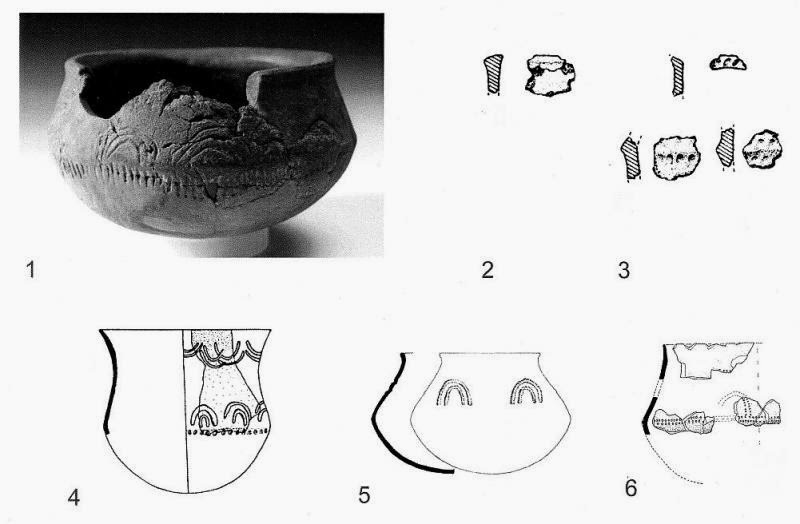 Neolithic pottery: 1-3 from Achnacreebeag; 4 from Castellic, Brittany; 5 from Vierville, Normandy; 6 from Er Grah, Brittany. Illustration: J.A. Sheridan. 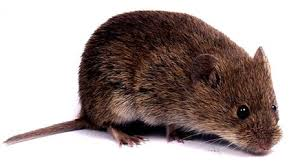 It includes genetic, as well as archaeological evidence: the Orkney vole (Microtus arvalis orcadensis), present in the islands since Neolithic times, which has a genetic make-up suggesting movement from western France or Iberia in just one step; and Ireland's pygmy shrew (Sorex minutus), belonging to a genetic strain otherwise found only in the Pyrenees. The Orkney vole. Photo: BBC. "As to the vessels and sailing capabilities of the travellers," Cunliffe adds, "we can only guess." One possibility is that sailing vessels have a much older pedigree in Europe than is directly apparent in the archaeological record. I am not, however, inclined to believe this. To stretch the origins of sail back from 50 BC to 1500 BC, without any direct archaeological evidence, requires an imaginative leap. To take it back a further three or four thousand years seems unwarranted, especially when there is a marked increase in contacts from around 1500 BC that must be explained somehow. There is, however, another possibility, which is that people were capable of much longer voyages in vessels without sails than has hitherto been assumed. This requires an imaginative leap of a different sort, an imaginative leap that is, perhaps, properly the domain of the novelist rather than that of the archaeologist or the historian, since it requires us to pose a fundamental question, the answer to which can probably never be provided by material evidence. How was risk understood and appraised by the prehistoric mind? To cast off from a promontory in Southern Ireland, and to head south in the hope of reaching a land that might have been known of only in legends, would, by today's standards, be an act of folly, but is this how it would have appeared to someone standing on that shore five or six thousand years ago? Generations of people have been inspired by faith, and we might well ask whether faith in an unseen land is really so very different from faith in an unseen god? The 18th and 19th Century pilot gigs of Cornwall and the Scilly Islands (www.pilotmag.co.uk/wp-content/uploads/2008/07/pilotmag-291-final.pdf) may give us some ideas as to the sort of vessels in which prehistoric mariners might have travelled. They were six-oared open wooden boats (their prehistoric equivalents might as easily have been skin-covered) used to carry pilots out into the western reaches of the channel at a time when pilots had to compete with one another for the attentions of merchant captains. They were, however, used for other purposes, prominent amongst which was smuggling, and in which capacity they are known to have crossed directly from Cornwall to Brittany. One Scillonian pilot, John Nance, is known to have made twenty-five round trips to Roscoff and, on one occasion, rode out a storm for 30 hours by keeping the gig's head to wind. 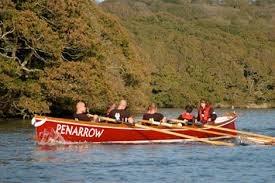 The Cornish gig, Penarrow, used today for racing. Photo: John Clandillon-Baker. Men like John Nance almost certainly had compasses to guide them, and are likely to have made the journey previously in larger sailing vessels navigated using charts. Like us, they may even have held the map of Europe in their minds in a way that no prehistoric navigator is likely to have done. The prehistoric navigator would therefore have needed greater courage and faith, and for every one who arrived safely at his or her destination, there may have been any number of others who simply disappeared without trace. That such voyaging can hardly have been commonplace is not to say that it did not happen, and there is an increasing weight of circumstantial evidence to suggest that it did. In an earlier blog-post (29th July 2013), I took issue with the American academic, Rachel Teukolsky, and her insistence that "historical fiction" is not only, by definition, set in the past, but must also "depict world-changing public events, like wars, natural disasters of political struggles." The expectations of UK and North American markets for "historical fiction" may, of course, be different, but it seemed to me, both as an author and a reader of historical fiction, that Teukolsky's criteria were just a little too restrictive. 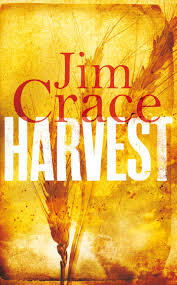 The question of what constitutes "historical fiction," however, has been thrown into sharp relief by one of my favourite novels of last year, Jim Crace's Harvest (reviewed here on 12th December 2013). At no point whilst I was reading the book did I question the fact that it was a work of historical fiction, although the absence of specific reference points (a date; a reference to a monarch, however distant; a recognisable place in what is clearly an English landscape) certainly beguiled me. "I am not interested in getting the facts right," Crace has subsequently said of the book. "I am interested in telling lies in order to explore contemporary themes. This is not a novel about Tudor life. It is not a novel about enclosures. 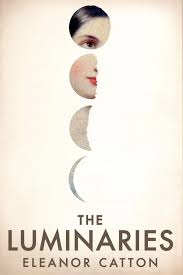 It is a novel about xenophobia." Is it, then, a work of historical fiction at all? It may, perhaps, be useful to see it as occupying one end of a continuum of fictionalised responses to the human past. Historical novels are, first of all, novels, and, as such, they can be considered alongside other works of fiction. They may be located at any point along the continuum between "literary" or "commercial" fiction; they may be narrated in the first or third person, and in the past or present tense; they may deal with affairs of the heart, or affairs of state, or with any other aspect of the human experience. Any writer, however, who chooses to set his or her work in the past, has at least two fundamental questions to answer which relate quite specifically to the engagement between the present and the past. The first concerns the extent to which historical "accuracy" matters to the author, and his or her willingness to take "liberties" with the historical content of the story in order to ensure its resonance with a contemporary readership. Crace's comment that he has no interest at all in "getting the facts right" places his work at one end of a spectrum, the other end of which is occupied by such meticulously researched novels as Hilary Mantel's Wolf Hall or Marguerite Yourcenar's Memoirs of Hadrian. The second choice to be made relates to the characters. All of Crace's characters in Harvest are fictional (he takes great care not to mention, even in passing, any historical characters whose presence might tie the story to a particular time or place), whereas almost all the characters in Memoirs of Hadrian or Wolf Hall are historical. Many writers opt for a mixed cast of historical and fictional characters (even Shakespeare's history plays, which are pre-eminently occupied with the great deeds of great men, include fictional characters such as Falstaff, Bardolph and Pistol, who provide both comic sub-plots and an alternative, humbler viewpoint on events). 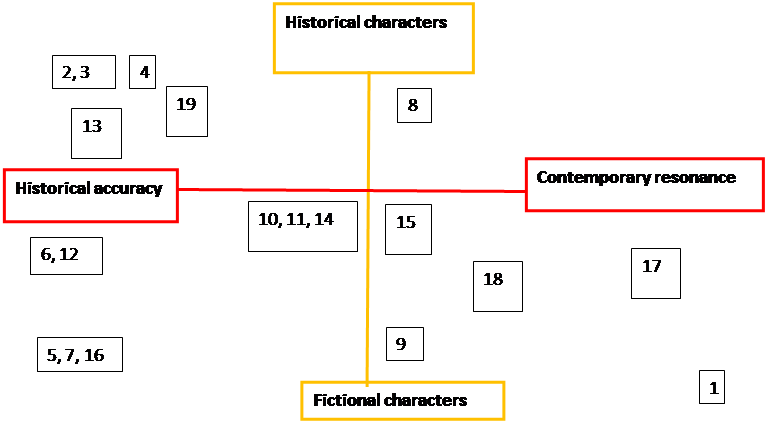 On the chart below, I have attempted to place various works which I have discussed here over the past year or two (together with a handful of historical novels that are often seen as "seminal" or "canonical") in relation to these two axes. 1. Harvest (Jim Crace); 2 Wolf Hall (Hilary Mantel); 3. Memoirs of Hadrian (Marguerite Yourcenar); 4. I, Claudius (Robert Graves); 5. Dark Deceit (Cathie Dunn); 6. Zeus of Ithome (T.E. Taylor); 7. Life After Life (Kate Atkinson); 8. Magda (Meike Ziervogel); 9. The Spire (William Golding); 10. Mr Darwin's Gardener (Kristina Carlson); 11. Shipwrecks (Akiro Yoshimura); 12. Pompeii (Robert Harris); 13. Claudius (Douglas Jackson); 14. Pure (Andrew Miller); 15. Waverley (Sir Walter Scott); 16. Birdsong (Sebastian Faulks); 17. The Pillars of the Earth (Ken Follett); 18. A Tale of Two Cities (Charles Dickens); 19. The Persian Boy (Mary Renault); 20. The Spanish Bride (Georgette Heyer). Positioning works along these axes is no more a precise science than is writing historical fiction, and is only helpful to the extent that it allows writers to clarify their thoughts as to how they might wish to position their own works. The "Accuracy/Contemporary Resonance" axis, in particular, relies on an assessment of a writer's intentions, which may not always be clear. Strive as we might for accuracy, it is difficult to achieve, and impossible to be sure to what extent we have succeeded. As A.N. Wilson cautions in a recent edition of the Times Literary Supplement (3rd January 2014), "Hilary Mantel's supposedly authentic picture of life in the time of Henry VIII will surely, in fifty years' time, seem as off-beam as Tennyson's Middle Ages do to us." If that is true of historical fiction, then it must be true of historical writing more generally, except that, as novelists, we cannot sit on the fences that the writers of historical non-fiction are often obliged to occupy. It is for historians to reflect on what people might have said or done: our characters have actually to say and do things. Jim Crace could, of course, have written a book about xenophobia set entirely in the present. Alternatively, he could have dealt with the issue in the context of a narrative set in a clearly defined time and place, in an "accurately" depicted past (I have seen this done very successfully in a short play about the Great Fire of London, an accidental disaster which many at the time attributed to the malice of immigrants). The most interesting thing about Harvest, however, is that Crace chose to write it as he did, conjuring up a past that is as familiar (he has described his setting as "The Forest of Arden") as it is unreal and, through that illusion, holding up a mirror to those aspects of our own society that we most readily distance ourselves from. No other approach to the present or the past would have suited his specific narrative intention quite so well. That is not to say that this is the only approach to writing historical fiction. 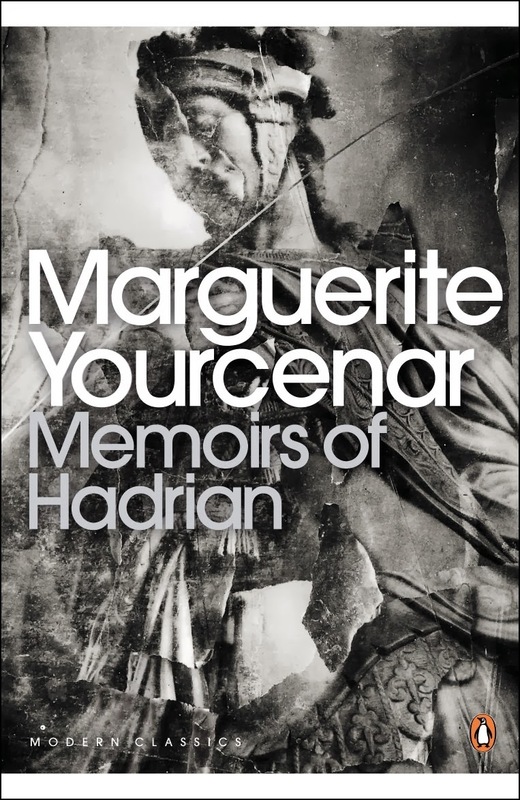 Historical fidelity was as central to Marguerite Yourcenar's narrative purpose in Memoirs of Hadrian, and to mine, in An Accidental King, as historical infidelity was to Crace's in Harvest. If the past is the clay with which we work, then the present provides the showcase in which our works are displayed and judged (we may aspire, with Thucydides, to be writing for the future, but can have little idea of how our works will be seen from a vantage point that we will never reach), and the ways in which we choose to mediate between them will always define the nature of what it is that we do.